Marketing is one of the most important types of advertising. If you do not market your business or brand no one will know you exist. Word of mouth is one way to attract customers with good reviews and social media is another way to interact with potential end users. Marketing is thinking about a business or brand and how you can expand it to its full potential. Marketing is not about selling, it is about Company Awareness and Innovation. Marketing is a way to develop a demand for your service or product and fulfilling the customers needs. Here at Startbrand we offer 30 days free marketing to set your company up, this is inclusive of all Domain Names sold regardless if they are brokered or not. We aim to get you seen in front of a large audience and help convince the end user to buy from you. SEO stands for “search engine optimization.” The definition is the process of getting traffic for “free, normally referred as organic. Search engines such as Google, Bing and Yahoo have primary search results, where web pages and other content such as videos or local listings are shown and ranked based on what the search engine considers most relevant to users, in most case Google uses an algorithm called a Hummingbird to crawl frequent changes to websites. The more you change the content from listing products to updating blogs the quicker you will be ranked and be on the first page. At Startbrand we improve your overall rankings by performing intricate strategies like backlinking to help your companies performance. A definition of a consultant is a person who can advise and guide a company, they are usually an expert in their own field and have a wide knowledge of the subject matter. External consultant – someone who is employed externally (either by a firm or some other agency) whose expertise is provided on a temporary basis. As such this type of consultant generally engages with multiple and changing businesses. The overall purpose of a consultant is that the company has access to deeper levels of expertise than would be feasibly possible for them to retain within their business. At Startbrand we can evaluate your business free of charge for the first 30 days. We will uncover any problems and improve your business strategy to improve performance. Our role is not to be a surrogate manager who is a person who "acts on behalf of, or in place of, a manager." We on the other hand as consultants never makes decisions for the individual or group, whereas a surrogate manager does make decisions, we advise the company to make changes so that they overcome obstacles that stand in their way. The definition of Website Design relates to many different skills and disciplines in the development and maintenance of websites. The term web design is normally used to describe the design process relating to the front-end (client side) design of a website including content writing. Web design partially overlaps web engineering in the broader scope of web development. Startbrand has had over 20 years experience in Web Design. As the internet has evolved so have websites and we cater for all budgets and we leave no stone unturned, whatever your requirements we can cater for them from basic one page landing pages to more complex ecommerce websites we are on hand to develop your new business. The definition of Graphic Design is the procedure of visual communication utilizing one or more of photography, typography and drawings. The subject is viewed as a subset of visual correspondence and communication outline, however sometimes the expression "graphic design" is utilized synonymously. Graphic Designers engage in designing and consolidating images, pictures and content to shape visual portrayals of thoughts and messages. They utilize typography, visual expressions and page format techniques to create visual maps. The most widely recognised utilization of graphic design incorporates corporate design (logos and branding), editorial design (magazines, newspapers and books), wayfinding or environmental design, advertising, webite architecure, correspondence design, product packaging and signage. 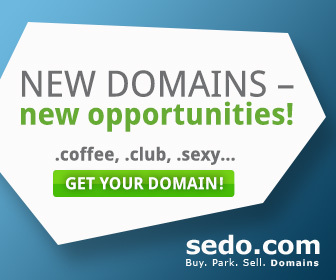 Startbrand will create branding for your product or service to work in line with your Keyword Domains. StartBrand work with Solicitors locally in Cardiff offering Company Formation aswell as Nationally, we provide incorporation services to professionals in the capital, aswell as private individuals all over the UK. Our packages are competitive and we offer Complete Formations which include full company registration with Companies House in Cardiff and our prices are inclusive of Government registration fees and other charges. Our specialized team of solicitors and experienced staff are on hand throughout the process to give advise to any questions that may need answering. Our support staff are Solicitors, Accountants and Business Consultants whom have the knowledge to assist you and advise you in all matters in forming a UK Company through Companies House. All start ups are welcome to contact us about any matters relating to starting a company. We also give you the added benefit of free business consultation for the first 30 days to guide you through all aspects of starting your business. We will be introducing soon financial advise for businesses looking for help acquiring funding. Businesses may require extra cash flow and may need flexible business loans to help them through difficult times. Obtaining business loans can be time-consuming and an arduous affair, therefore Startbrand will be partnering with high street institutions that can schedule and remove some of the burden of applying. Whether you are starting a limited company, operating as a sole trader or partnership, deciding how to trade will be one of the decisions which is required to be made when starting a new business and might be carried out by our Business Consultation Team. Important Factors Which Influence the Choice of Trading Title. Factors are usually influenced by the choice of how you wish to trade by considering both tangible (for example tax savings and benefits) as well perceived advantages such as the owner’s personal management. It is usually possible to later transfer the commercial activities to a different trading title. Other considerations which might be created are additional expense and disruption in changing from a sole trader to a limited company. These might include the reprinting of business stationery to include a company number and registered office and the advice and work of an Accountant to ensure that undue tax liabilities did not arise during the transition. All business have an element of planning and forethought as to where the comapny will be in the future. Starting up any new company involves some element of risk irrespective or how good the products or services are. Our team of Business Consultants, Accountants and Solicitors will make your business a smooth operation giving you room to develop you brand and start to trade with relative ease. In some case your application may not successful you are under no obligations should this occur and will have absolutely nothing to pay. With all advice by legally qualified solicitors. This ensues that the trademark registration searches are maticulous, up to date and secure. Our trade mark solicitors have decades of experience in registering trademarks and this experience has been employed to build an effective market leading system. At StartBrand we pride ourselves on our customer service so that the registration of a trademark process is as processed quickly and efficiantly. The Uniform Domain-Name Dispute-Resolution Policy (UDRP) is a process created by the Internet Corporation for Assigned Names and Numbers (ICANN) for the pupose to resolve disputes regarding the registration of internet domain names. The UDRP applies to all generic top level domains (.com, .net, .org, etc...). In layman terms it is called (Cybersquattng). Cybersquatting is knowing the domain is trademarked. ICANN set up (UDRP) as it realized there was a problem registering domain names that were trademarked and were being registered without the trademark owners permission. "The Trademark Dilemma". This prevented the trademark owner suing the resistrars and protected them from liability claims. This meant by the late 1990s, that there was a problem likely to mislead consumers. In the United Kingdom, the Court of Appeal described such domain names as "an instrument of fraud". One of ICANN's initial steps was to commission the United Nations World Intellectual Property Organization (WIPO - World Intellectual Property Organization ) to create and provide details regarding the contention amongst trademarks and domain names. It was published on 30 April 1999, the WIPO Report suggested the foundation of an "obligatory authoritative technique concerning fraudulent enlistments", which would take into consideration a "nonpartisan setting with regards to question that are regularly worldwide in nature." The method was not expected to manage cases with contending rights, nor would it avoid the purview of the courts. It would, notwithstanding, be obligatory as in "every area name application, would in the space name understanding be required to submit to the strategy if a claim was started against it by a third party. The WIPO Report sets out the now familiar three stage test of the UDRP. If you have been scammed by a company or domainer and have the evidence, send it over for us to review. If a domainer backed out of a deal and you have the evidence, please contact us. If you know a fake bidder and have the proof we are here on hand.